Television began in 1964 with first live transmission of Pakistan Television on Nov 26, 1964 in Lahore, Pakistan. PTV News (formerly PTV World) is a 24 hour state owned news channel in Pakistan. 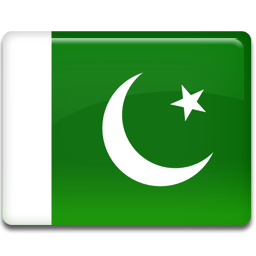 It provides news in Urdu and English to the Pakistani community around the world. It also shows news in Pashto, Sindhi, Pashto, Arabic and many other regional languages. It is the sole Government news channel of Pakistan with reports generally favorable towards the government in charge. As a result, many people in Pakistan criticize its unfair news reporting. PTV News was known as PTV World until 2007. The major programs shown in PTV includes Dateline Pakistan, Tanazur, Good Morning Pakistan, Saleem Safi Ke Sath, Bulls And Bears – morning Session, News Night, Business Update, Current Affairs Time, Kashmir Magazine and Corporate Coffee. Online live TV services are also being offered on the notable TV networks in Pakistan. •	Current Affairs (analysis based programs highlighting on regional, national and international issues). PTV Global is also owned by Pakistan Television Corporation, also offered in United States and Europe. PTV Global broadcasts programming from PTV News, PTV National and other PTV-owned networks. It is available via Dish network in the United States on air from April, 2006. The major competitors of PTV includes Aaj TV, Dawn news, ARY News, Dunya news, Din News, Express News, Samaa News and Waqt News.